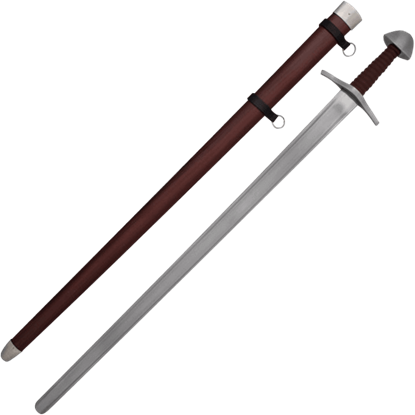 During the Viking Age, a warrior owning a sword was a matter of prestige, since only free men were allowed to carry weapons. Viking swords were typically single-handed swords used along with a shield. Blades ranged from 23 to 37 inches in length, and the shape resembled many other blades of the Dark Ages. Many featured deep fullers and lobed pommels. 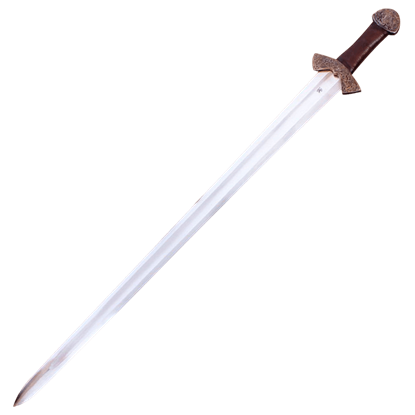 We carry an excellent variety of Viking, Anglo-Saxon, and Norman swords inspired by the weapons wielded by these historical warriors. Our inventory includes single- and two-handed sword designs, Viking short swords, and Viking broadswords. We carry Norse swords specific to the 7th through 11th centuries, including sword replicas modeled on blades held in museums like the Cawood sword, Trondheim sword, Leuterit sword, Korsoygaden sword, Suontaka sword, and others. 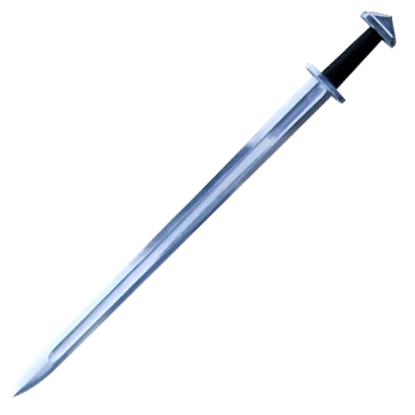 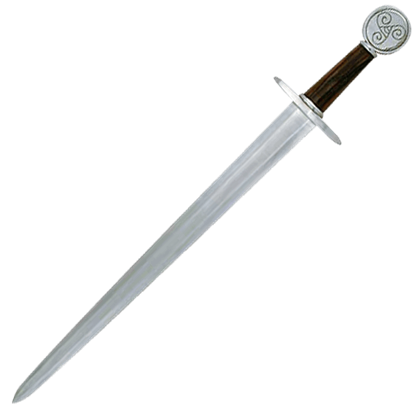 Other designs are named for historical figures, such as the Godfred sword, Ulfbert sword, and Erik the Red sword. We carry functional swords and decorative swords, ensuring that you can find blades for reenactments, WMA combat, stage productions, training, or collecting.